Over the course of the last two posts I talked about the benefits of social media on visual media and music artists. This time, I will explain how social media benefits startups and existing businesses. The rise of social media has created a new way for businesses to market themselves in clever ways while simultaneously reaching a wide audience, for relatively low cost. Matt Risinger, a sort of building scientist, discovered the advantage of using YouTube to promote his business. As quoted in The New Rules of Marketing and PR, Risinger said,”I didn’t get huge traction at first, but I kept going. Even though I might have only 300 views on a video, one of those people watching might be an architect in Austin who would say something to me. Or maybe it was a potential client who watched before they interviewed me for their project. They felt like they knew me at a meeting—even though I’d never met them before—because they could watch a video of me. I got enough feedback that made me realize this was worthwhile” (Scott, 2017 p. 97). This is a textbook example of how video content can benefit a business. Picking this quote apart, we not only see that video content is obviously helpful for visually showing off a product or service, but it can be used to instill a feeling of confidence, or credibility for the business and its people. Risinger started out with a cheap camera and little viewers, but now has a larger audience and much higher quality video content. By now it is not too difficult to figure out how businesses can exclusively benefit from social media, but Business2Community.com mentioned one benefit that maybe isn’t everyone’s first thought. This benefit is called competitive analysis, and this is what Dhariana Lozano of Business2Community.com has to say about it: “You can use social media to target your competition’s fans, see what they may be doing that you can improve on – or simply identify ways to stand out within your industry” (Lozano, 2016). This is an interesting angle that seems only achievable on social media, where all marketing is focused and public. There obviously are more advantages for businesses who utilize social media, but I covered a couple here in this post. It is east to see how much social media platforms have positively affected many people and entities such as visual media, music artist, and businesses. I hope that over the course of these posts, you have learned something and have a positive outlook on social media. Is social media the communication method of the future? My goal for my third post is to discuss if social media is going to continue to be the communication method of the future. The third topic I would like to discuss is the future for social media and what that means for communication. My audience for this posting would be anyone who uses social media, students and teachers in this class, anyone in the communication field and anyone who uses social media for communication. This week’s reading discusses communication for development. It says that ‘mobile phones have created opportunities that we never dreamt of and two-way communication is exploding all over the internet.’ Do you think that social media can assist in developing communication for the future? I, myself am not so sure. I think it’s gotten to the point where communication has felt like it has become so impersonal. When people see their phone ringing for a phone conversation they will deny the call, then proceed to text that person, did you call in hopes of avoiding a phone conversation. I have personally noticed this at work with both myself and co workers. We rely so heavily on email, texting and other impersonal modes of communication that we do anything we can to avoid people coming into the office and phone conversations. My boss will kindly have to remind all of us that email is good to track infromation but there is definitely a time and place that a phone call or in person meeting is warranted and that we shouldn’t forget that. In addition, with technology continuing to advance, it’s increasing the unique ways we can communicate with one another. For companies, according to getvoip.com, this includes but not limited to live chat or video call option with staff on websites, opt-in text messaging notifications, mobile friendly account access, 24 hour customer service, social media personality. I have used the live chat option on clothing websites and am a huge fan. I feel that it get’s the information I need quicker and makes me feel taken care of. It’s unsure of social media will continue to be the communication method of the future but I think from the way things have been going there is a strong chance that it will continue on that path. How has social media changed the way we engage? Well, in a lot of ways to be honest. Looking at the evolution of social media over the last decade has been somewhat of a whirlwind. The dawn of the smart phone era has kick started the largest technological mobilization in human history. We are connected to the internet, in some way, almost 100% of our lives. According to the link above on of the biggest reasons why our interactions are changing is simply due to the number of people we interact with. We now seem to care about that over-the-top social media posts from that guy you sat next to in 10th grade Biology class. Why? Because we are connected on social media! Seems pretty simple, but the general direction of our ever increasing interconnected lives is not slowing down. One of the main goals of social media is to bring people together. So is the erosion of our communication boundaries really a bad thing? I guess it depends how you use social media and how you shape your identity around your use of social media. According to the author’s opinion the lack of filters on our communication come at a price. I would have to agree. The level of toxicity on the internet is at an all time high. However, the amount of communication being distributed and received on the internet is at an all time high as well. Perhaps, humans have always held these extremely toxic views but had no way of expressing that message, much less have a platform to broadcast it world wide. Similar to my last post about this topic, I took a look at a few required readings for MDST485 course. I found myself connecting the points made in Castell’s Network Society Ch. 5. – Castell describes culture of real virtuality. He argues that the enormous influence and the sheer level of importance technology and the internet have on our lives have pushed elements of our existence into the virtual realm. There is no doubt that this is true. The amount of time we spend on the internet is increasing each year, the use of social media platforms are always increasing, and yet we still seem to be incapable of conversing with one another respectfully. I don’t want to believe that we are at the beginning of what will be the fall of our society but if we do not take time to realize what social media is doing to us, we simply have no chance. I encourage two things out of you in the coming weeks. The first thing is to start preparing for your future, in whatever way that looks like. Write down your goals for the next year, three years, five years. Start a new hobby by jotting down all that interests you. Summer is coming, what are some things you want to be sure you do? Prepare for what’s to come. Prepare for YOUR successful future. Secondly, start listening to podcasts, or if you already do, try a new one that could better your life, bring a smile to your face, push you to see a different perspective, hear stories on those who have it much, much worse than you, or literally countless more. Stay tuned for my future blogs. I’ll give you some intriguing recommendations. You can count on it. My goal for my second blog post is to switch gears from the dark side of social media in my last post to the light side. The second topic I would like to discuss is the benefits of social media. My audience for this posting would be anyone who uses social media, students and teachers in this class and companies or people who market or campaign through social media. Whether we like to admit it ‘our’ generation eats, sleeps and breathes social media. It’s reach and popularity is without doubt. According to www.quantumrun.com, “It’s estimated that by 2018, 2.44 billion people will be using social networks.” Yes, this might not be the healthiest trend for us to participate in however, there can be benefits from this. As we rely more on technology the need for social media platforms increases. Platforms such as Instagram, Facebook, Twitter and Podcasts allow for instantaneous news coverage, access to limitless information and connects us with the world all within the click of the button. The opportunities that social media can create are endless. With recent social and political issues being brought to the surface Twitter and Instagram can be used to create awareness by trending hashtags. They can also provide information and rally people for a cause such as creating a buzz agent for the Women’s Rights Marches, Black Lives Matter protests and Most recently the March For Your Lives. If you click on the hashtag or a tagged photos it will literally connect you with millions of other people who are supporting the same cause. What method of getting information out can literally beat that? Chapter 17 in this weeks Scott reading discusses a newer tool in social media which is Podcasting. This is something I never used to care to listen to until I found an interesting Podcast that caught my attention. I see this platform continues to take off and joining the more well known ones. Whatever social media platform you follow, the limitless benefits are undeniable. The audience is those interesting in new media and podcasting. The goal is to show the rise of podcast. Podcast are amazing! I love podcast. I love love love podcast. So many diffrent podcast with different topics. 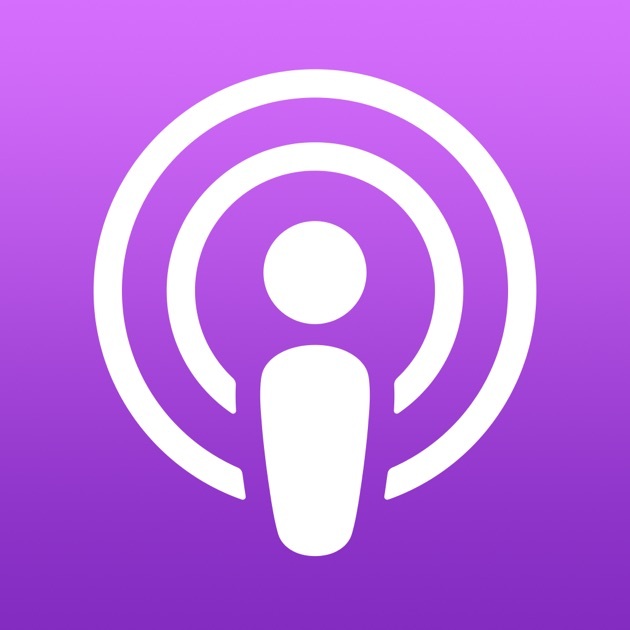 As we continue with new media, podcast are a growing medium from the individual to the people. It helps with car rides, waiting for the bus, waiting for class to start and so on. It’s a way for information or entertainment, probably both. The rise of podcast is real. Mark Trainer stats in a recent study that 40 percent of Americans have listened to a podcast and 24 percent have listened to one within the past month of the Survey. Podcast are great. It is an amazing way to get information and be entertained. It’s also relatively easy to start one. David Meerman Scott list some fundamentals of starting a podcast in The New Rules of Marketing & PR: show preparation, record when near computer, mobile recording gear, phone interviews, editing your audio files, postproduction editing, tagging audio, hosting and distribution, promotion, and companion blog.